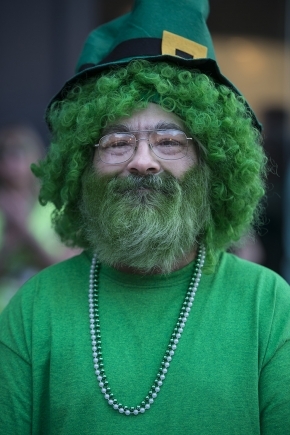 With St. Patrick’s Day just around the corner there are lots of events all around South Carolina. From music to nature and everything in between. The experiences in South Carolina are unbelievable and unexpected. Wednesdays, Fridays & Saturdays – Hagood Creek Petroglph Site of South Carolina at the Hagood Mill State Historic Site in Pickens. Come see these historical markings open to the public on these days. For more information call (864) 898-2936. Thursdays April – July – Music on Main at Morgan Square in Spartanburg. Enjoy some after work entertainment and fun. For more information call (864) 596-2026 or visit http://www.cityofspartanburg.org/music-on-main. Through March 20 – “Cabaret” at the Peace Center in Greenville. For their 50th anniversary, the Roundabout Theatre Company is presenting this acclaimed masterpiece, direct from Broadway. For more information call (864) 467-3000 or visit http://www.peacecenter.org/. March 17 – Oconee Bell Nature Walk at Devils Fork State Park in Salem. 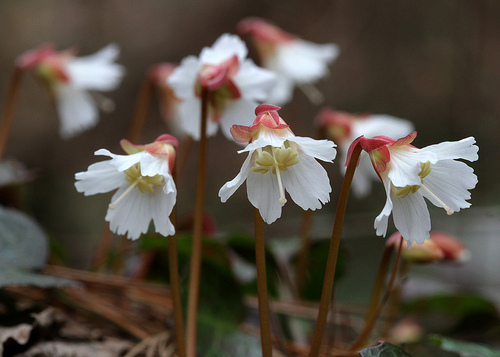 Take a hike along the Oconee Bell Trail at the park to view this beautiful and rare early spring blooming plant. 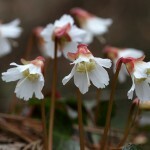 For more information call (864) 944-2639 or visit http://www.southcarolinaparks.com/things-to-do/wildflowers/oconee-bell/default.aspx. March 17 – “Two on Tap” at the Abney Cultural Center Auditorium at Lander College in Greenwood. Enjoy an evening of comedy and Broadway song and dance. For more information call (864) 227-8477 or visit http://www.greenwoodperformingarts.org/. March 17 – April 10 – “The Addams Family” at the Center Stage Theatre in Greenville. Enjoy this macabre musical comedy of one of America’s favorite families! For more information call (864) 233-6733 or visit http://centrestage.org/the-addams-family/. March 18 – 20 – “The Dixie Swim Club” at the Chapman Cultural Center in Spartanburg. This wonderful comedy of 5 women who met in childhood meet yearly on the Outer Banks to catch up and obtain support for their life challenges comes to life on the stage and is sure to keep you entertained. For more information call (864) 542-2787 or visit http://www.chapmanculturalcenter.org/events.php?id=1686#sthash.TvabvFt6.dpbs. March 18 – 20 – “The Secret Garden” at the Foothills Playhouse in Easley. Based on the literary works by Frances Hodgson Burnett, you are sure to enjoy this wonderful theatrical presentation of the story. For more information call (864) 855-1817 or visit http://www.fhplayhouse.com/wordpress/production/secret-garden/. March 19 – Family Fun Day: Textiles at the Spartanburg Regional History Museum in Spartanburg. Enjoy an afternoon of hands-on activities related to the “Textiles” exhibit. For more information call (864) 596-3501 or visit http://www.greenville.com/event/family-fun-day-textiles/. March 19 – Spring Festival on Main Street in Reidville. For more information call (864) 486-9614 or visit http://www.townofreidvillesc.org/30.html. March 19 – Peacock Strides for Babies 5K Run/Walk & 1 Mile Fun Run at the Mauldin Cultural Center in Mauldin. Proceeds benefit the CJ Foundation for SIDS. For more information call (888) 825-7437 or visit https://runsignup.com/Race/SC/Mauldin/PeacockStridesforBabies. March 19 – Spring Market at the Union County Fairgrounds in Union. Come out and support the Junior Charity League at this annual event. For more information call (864) 426-6539 or visit http://bestevents.us/union-junior-charity-league-spring-market/1019809. March 19 – KidsFest at Hagood Mill & Folklife Center in Pickens. Kids will enjoy painting Spanish colonial horses, enjoy demonstrations from the local Fire Department and Rescue Department, and even hear local kid musicians. For more information call (864) 898-2936 or visit http://www.visitpickenscounty.com/event/1478/kids-fest-at-hagood-mill/. March 19 – “Harlem Globetrotters” at the Bon Secours Wellness Arena in Greenville. Enjoy an entertaining evening by this fabulously entertaining and talented group of basketball stars. For more information call (864) 241-3800 or visit http://www.bonsecoursarena.com/event/harlem-globetrotters-2/. March 20 – “Greenville Concert Band” at the Younts Center for the Performing Arts in Fountain Inn. Explore America’s rich musical history with a variety of famous composers as performed by this wonderful band. For more information call (864) 409-1050 or visit http://www.yountscenter.org/greenville-concert-band5. ore information call (864) 241-3800 or visit http://www.bonsecoursarena.com/event/disney-live/. March 22 – ‘SYBARITE5” at the Brooks Center for the Performing Arts at Clemson University in Clemson. Enjoy this newly famed eclectic group that plays everything from Mozart to Radiohead. For more information call (864) 656-7787 or visit http://www.visitpickenscounty.com/event/1409/sybarite5/. March 22 – “An Evening With Joan Baez” at the Peace Center in Greenville. This 1960’s folk artist continues to keep folk music alive with her continued travels, so be sure to see this wonderful show. For more information call (864) 467-3000 or visit http://www.peacecenter.org/events/detail/an-evening-with-joan-baez. March 22 – 24 – Greenville Small Plate Crawl at a variety of restaurants in the Greenville area. Visit as many restaurants as you can at your own pace with each restaurant offering specially priced items . . . but be sure to visit the web site for more information. For more information call (864) 320-3002 or visit http://greenvillesmallplatecrawl.com/. March 23 – Arbor Wind Trio at the Spartanburg Public Library in Spartanburg. For more information call (864) 948-9020 or visit http://www.spartanburgphilharmonic.org/music-sandwich. March 25 – Lunch and Learn: The Second Coming of the Invisible Empire at the Chapman Cultural Center in Spartanburg. Hear author, William Rawlings, for a discussion about his new book regarding his researched history of the second Ku Klux Klan. For more information call (864) 542-2787 or visit http://www.chapmanculturalcenter.org/pages/calendar/detail/event/c1/e90/&DateOfEvent=03/18/2016. April 1 – Get Out and Play Day at the Greenville Zoo in Greenville. Celebrate the great outdoors with activities for kids to help them learn about science and nature. For more information call (864) 467-4300 or visit http://www.greenvillezoo.com/168/Special-Events. April 2 – Enrichment Day at the Greenville Zoo in Greenville. Learn how enrichment is used to enhance the environment and natural behaviors of animals to keep them happy and healthy. For more information call (864) 467-4300 or visit http://www.greenvillezoo.com/168/Special-Events. April 2 – “The Fantastic Shakers” at the Walhalla Civic Auditorium in Walhalla. Spend an evening enjoying beach music with one of the areas favorite bands. For more information call (864) 638-5277 or visit http://www.walhallacivic.com/events.html. April 2 – “Where We All Belong: Marshall Tucker Band Tribute Show” at the Chapman Cultural Center in Spartanburg. Enjoy an evening tribute by local musicians to the band who introduced the world to Southern Rock. For more information call (864) 542-2787 or visit http://www.chapmanculturalcenter.org/pages/calendar/detail/event/c1/e118/&DateOfEvent=04/02/2016. April 2 – Zoom Through the Zoo 5K at the Greenville Zoo in Greenville. Enjoy a run through the zoo, with awards to include memberships to the zoo and art by the residents, with a celebration afterwards at Cleveland Park. For more information call (864) 467-4300. April 2 – 3 – Historic Pendleton Spring Jubilee at the Village Green in Pendleton. This event in the beautiful town of Pendleton will include 100 artisans from across the country, regional entertainers, and local food. For more information call (864) 646-3782 or visit http://pendletondistrict.org/jubilee/. April 2 – 3 – South Carolina ComiCon at the TD Convention Center in Greenville. This family friendly event has something to offer every fan of all ages with plenty of events and contests for kids. For more information call (864) 235-3488 or visit http://tdconventioncenter.com/events/2016-sc-comicon/. Saturdays in March – Engineering the International Space Station at the DuPont Planetarium in Aiken. Learn how 15 different nations worked together to create this research based home in space. For more information call (803) 641-3654 or visit https://rpsec.usca.edu/planetarium/. Through March 20 – “Alladin, Jr.” at the Rock Hill Community Theatre in Rock Hill. Enjoy this enchanted tale of a boy who finds a magic carpet and a lamp with a humorous, ethereal Genie. For more information call (803) 326-7428 or visit http://www.rockhilltheatre.org/. Through March 20 – “On Golden Pond” at the Bluebird Theatre in Orangeburg. Enjoy the tale of two parents whose long lost daughter appears with a request that they watch her son while she goes to Europe for a month. For more information call (803) 536-5454 or visit http://www.optp.org/. March 17 – St. Patrick’s Day on Main on East Main Street in Old Town Rock Hill. This evening street festival will feature live Irish music and dancers, with over 25 vendors, a large kids zone and lots of food and beverages. 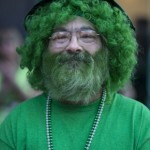 For more information call (803) 329-8756 or visit http://onlyinoldtown.com/do/featured/43/st-patricks-day-on-main-festival. March 18 – 19 – Pass It On Kidsignment at the First Baptist Church Family Life Center in Aiken. This is a great place to sell or buy used kids clothing and toys. For more information visit http://passitonaiken2.com/. March 19 – Elloree Trials at the Elloree Training Center in Elloree. This is a local favorite event filled with fun and excitement. For more information call (803) 897-2616 or visit https://www.facebook.com/ElloreeTrials/. March 19 – Aiken Trials at the Aiken Training Track in Aiken. Known as the first leg of the Aiken Triple Crown events, this traditional event, started in 1946, is a favorite event for everyone. For more information call (803) 648-4631 or visit http://www.aikentrainingtrack.com/#trials. March 19 – Annual Roasting on the River at the Boeckh Park in Hammond’s Ferry. Enjoy oysters and BBQ with a variety of sides, refreshments and live entertainment by Nashville artist Pat Cooper and his band, all while enjoying a view of the beautiful Savannah River. For more information call (803) 508-7071 or visit http://scliving.coop/events/5th-annual-roasting-on-the-river/. March 19 – “Drew Holcomb and the Neighbors” at McCelvey Center in York. This emerging singer/songwriter from Memphis and his bands’ music have been features on numerous TV shows and commercials. For more information call (803) 684-3948 or visit http://www.chmuseums.org/southernsoundseries/. March 19 – Laps for Lancasters: USC Lancaster 5K & 10K to begin at the USC Lancaster Bookstore in Lancaster. For more information call (803) 313-7000 or visit https://runsignup.com/Race/SC/Lancaster/LapsforLanceUSCLancaster5k. March 19 – St. Patrick’s Day Festival in downtown Clover. Event will include the Leprechan Leap, a 5K Walk/Run, a dog show, music by Lauren Light, amusement rides, and much more. For more information call (803) 222-9493 or visit http://www.cloversc.org/pView.aspx?id=16362&catid=292. March 19 – 20 – “Mary Poppins” at the Martin Luther King Auditorium on the South Carolina State University Campus in Orangeburg. Put on by the Orangeburg Civic Ballet, this is sure to be a beautiful production. For more information call (803) 533-0017 or visit http://www.orangeburgcivicballet.org/. March 19 – 20 – Living Dramatization of “The Lords Supper” at Friendship United Methodist Church in Rock Hill. Following the event on the 19th will be refreshments and on the 20th, lunch and an Easter egg hunt. For more information call (803) 324-0482 or visit http://www.friendshipumc-rockhill.org/DatestoRemember. March 19 – May 8 – Vernon Grant’s Leap into Spring at the Museum of York County in Rock Hill. The exhibit features an array of original and published artworks with Springtime themes created by Grant from 1930 through the 1970’s. For more information call (803) 329-2121 or visit http://chmuseums.org/myco/. March 22 – “The Young Irelanders” at the Clover School District Auditorium in Clover. Enjoy an evening of Irish music with these eight fabulous young Irish musicians. For more information call (803) 810-8000 or visit http://www.clover.k12.sc.us/Page/9132. March 22 – 23 – Recognized Horse Trials at Stable View Farm in Aiken. See competitions in dressage, stadium jumping, and gallop cross country. For more information call (484) 356-3173 or visit http://stableviewfarm.com/. March 26 – Aiken Steeple Chase at the Aiken Training Track in Aiken. This annual event is a favorite local event with not only horse racing, but a select group of vendors and of course, lots of fun! For more information call (803) 648-9641 or visit http://aikensteeplechase.com/. March 26 – “Slope Valley and High Ridge Bluegrass Band” at the Haynes Auditorium in Batesburg-Leesville. Enjoy an evening with another monthly bluegrass event. For more information call (803) 582-8479. March 31 – Savannah River Site Public Tour at the Aiken County Applied Research Center in New Ellenton. Take a driving tour of this well-known nuclear site, which will include a visit to the SRS Ecology Lab. For more information call (803) 952-8994 or visit http://www.srs.gov/general/tour/public.htm. April 1 – 3 – Aiken Horse Show at the Hitchcock Woods Aiken Horse Show Grounds in Aiken. This event established in 1916 by Mrs. Hitchcock has become one of the most prestigious equestrian events in the State. For more information call (803) 642-0528 or visit http://aikenhorseshow.org/. April 2 – Carolina Cup at the Springdale Race Court in Camden. This annual favorite spring social event will not only provide you with fun horse races, but lots of fun. For more information call (803) 780-8117 or visit http://www.carolina-cup.org/. April 2 – 3 – “Aladdin” at the USC Aiken Etherredge Center in Aiken. Performed by the Aiken Civic Ballet, enjoy a ride on the magic carpet with Alladin. For more information call (803) 641-3305 or visit http://events.augusta.com/events/arts/aladdin-performed-aiken-civic-ballet. Wednesdays through May 25 – Weekly Wine Strolls at Middleton Place in Charleston. Take a stroll while tasting a variety of different wines from a variety regions. For more information call (800) 782-3608 or visit https://www.middletonplace.org/visiting-middleton-place/events-calendar.html. Tuesdays, Thursdays, and Saturdays through March 19 – Camelia Walks at Middleton Place in Charleston. Enjoy a tour through the original gardens as well as the new 1950 gardens to view the beautiful Camellias. For more information call (800) 782-3608 or visit https://www.middletonplace.org/visiting-middleton-place/events-calendar/265-february-9-march-19-camellia-walks.html. Through March 19 – Charleston Fashion Week at a variety of locations in the Charleston area. Event includes pre-parties, fashion shows, and vendors, with each day offering a specialty theme. For more information call (843) 971-9811 ext. 331 or visit http://charlestonfashionweek.com/. Through March 20 – Can-Am Days Festival at a variety of locations along the Grand Strand in Myrtle Beach. The week will be filled with a variety of fun and engaging events to entertain our visiting Northern Snowbirds. For more information call (843) 626-7444 or visit http://www.visitmyrtlebeach.com/things-to-do/events/can-am-days/. Through April 7 – “Frank Lloyd Wright: Architecture of the Interior” at Franklin G. Burroughs – Simeon B. Chapin Art Museum in Myrtle Beach. View the exhibit depicting some of the works of this well-known and revered architect. For more information call (843) 238-2510 or visit http://grandstrand.happeningmag.com/exhibit-of-frank-lloyd-wright-art-museum/. March 16 – 17 – Can-Am Days in downtown Conway. Shuttles will depart from the Conway Chamber of Commerce taking participants to visit the Horry County Museum, visit Conway Glass and observe glass blowing demonstrations, a history walk, Waccamaw River Tours, just to name a few. For more information call (843) 428-6260 or visit http://events.r20.constantcontact.com/register/event?oeidk=a07ec3oy6iwf87764cc&llr=cgi6bzdab. March 16 – April 24 – Festival of Houses and Gardens in the historic district in Charleston. This event will allow you to tour some of the most beautiful houses and gardens in historic Charleston. For more information call (843) 722-3405 or visit https://www.historiccharleston.org/events/annual-festival-of-houses-and-gardens.aspx. March 18 – 19 – Highland Games and Heritage Festival at Grand Park in Myrtle Beach. Come out and participate in the Athletic Competition, visit the Celtic Marketplace or the Clan Village, try Scottish Whiskey, observe Medieval Times Patron Games, or visit Ripley’s Kids Glen, all while enjoying a variety of live music and entertainment. For more information call (843) 283-7883 or visit http://www.myrtlebeachhighlandgames.com/. March 18 – 19 – Plantation Tours at multiple locations in Georgetown. Take a tour of some of the most beautiful historical plantations in the Georgetown area. For more information call (843) 545-8291 or visit http://pgwinyah.com/plantation-tour-locations. March 18 – 19 – WingFest at the Shelter Cove Community Park on Hilton Head Island. More than 15 local restaurants will cook their best wings to compete for the best on the Island, with the event including a kids zone, a big screen TV to watch a March Madness game, and enjoy live entertainment. For more information call (843) 681-7273 or visit http://www.hiltonheadisland.com/events/event/wingfest-shelter-cove-community-park/. March 18 – 20 – Charleston Antiques Show at Memminger Auditorium in Charleston. The show will provide you the opportunity to view and learn about some extraordinary antiques from a variety of locations and periods. For more information call (843) 722-3405 or visit https://www.historiccharleston.org/events/charleston-antiques-show.aspx. March 18 – December 17 – Artists and Artisans Night Market at the Charleston City Market in Charleston. Find an array of hand-crafted and original items along with music and entertainment covering three blocks of Market Street. For more information call (843) 327-5976 or visit http://www.thecharlestoncitymarket.com/. March 19 – Edisto Eats Festival & Ultimate Chef Competition at McConkey’s Jungle Shack on Edisto Island. Enjoy six mini courses created by two local chefs, while enjoying live entertainment, local craft vendors, raffles and giveways, as well as beer and wine. For more information call (843) 868-1095 or visit http://www.edistounited.org/edistoeats. March 19 – Lowcountry’s Running Festival: Beaufort Twilight Run at Habersham Village in Beaufort. Event will include a 10 mile run, 8K run, 13.1 Beaufort Challenges, 5K run, 1 mile youth run, and a kids fun run For more information call (843) 321-8309 or visit http://beauforttwilightrun.com/. March 19 – 20 – Pet Fest at Palmetto Islands County Park in Mount Pleasant. Bring your best friend out for a day of fun and exploration for this weekend of exhibits, demonstrations, experts, entertainment, and more. For more information call (843) 795-4386 or visit http://ccprc.com/139/Pet-Fest. March 22 – April 2 – Lowcountry Quilt Show at the Georgetown County Museum in Georgetown. View a variety of beautifully crafted quilts and register to win one of three quilts to be raffled, along with door prizes, demonstrations, and quilts for sale. For more information call (843) 545-7020 or visit http://www.georgetowncountymuseum.com/. 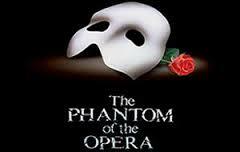 March 24 – “Phantom of the Opera” at the North Charleston Performing Arts Center. If you’ve never seen this Broadway favorite, this is one you musts see, and you’ll definitely want to see it more than once. 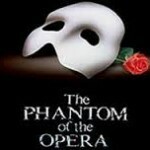 For more information call (843) 529-5000 or visit https://www.northcharlestoncoliseumpac.com/events/detail/phantom-of-the-opera. March 25 – 27 – RenoFest Bluegrass Festival at the Center Theater in Hartsville. Fill your weekend with Bluegrass, including bands such as Ronnie Reno and the Reno Tradition, The Grascals, The Band of Ruhks, Columbia Bluegrass Company, just to name a few. For more information call (843) 639-2988 or visit http://www.renofest.com/. March 26 – Easter Eggstravaganza at Middleton Place Gardens in Charleston. Bring a basket for the Easter egg hunt on the grounds and then head for the Stableyard where you can dye the eggs, after which the kids can play colonial games, hear classic stories, make Easter crafts, and participate in an Egg toss and Egg roll. For more information call (800) 782-3608 or visit https://www.middletonplace.org/visiting-middleton-place/events-calendar.html. March 26 – The Hat Ladies Promenade at Washington Park in Charleston. This group of ladies dress up in their finest attire and their beautiful hats and parade from Washington Park down Broad Street to East Bay and back again as a way to wish everyone a Happy Easter so come out and support them. For more information call (843) 762-6679 or visit http://www.hatladies.org/. March 26 – Hunting Island Adventure Biathlon at Hunting Island State Park on St. Helena Island. The race includes a 6 mile paddle, a 4.3 mile trail run, with 57 award categories, with a post race party of beer, chili, and fellowship. For more information call (843) 379-4327 or visit http://seaislandrotary.org/adventure-biathlon/. March 26 – Race for the Inlet Walk & Run at the Murrells Inlet 2020 Office in Murrells Inlet. Event includes an 8K and a 5K run. For more information call (843) 357-2007 or visit http://www.runningintheusa.com/Race/View.aspx?RaceID=38438. March 29 – “Disturbed” at the House of Blues in Myrtle Beach. This famous rock band has been around since the 90’s and is best known for their amazing version of Sound of Silence. For more information call (843) or visit http://www.houseofblues.com/myrtlebeach/#calendarsearch. March 31 – April 2 – Lamar Egg Scramble Jamboree in downtown Lamar. This event will include a carnival, a day and a night parade, live entertainment, a Taste of Lamar, and more. For more information call (843) 269-5692 or visit http://www.lamareggscramble.com/Pages/default.aspx. April 1 – 3 – Catfish Festival in downtown St. Stephen. This event will include a catfish stew cook-off, a sweet-pea contest, a golf tournament, arts and craft vendors, and more. For more information call (843) 567-3597 or visit http://festivalnet.com/22389/Saint-Stephen-South-Carolina/Festivals/Saint-Stephen-Catfish-Festival. April 1 – 3 – Cheraw Spring Festival at the Community Center in Cheraw. Enjoy an antique firetruck parade, a Civil War Lantern Tour, a Black Heritage Jubilation, craft vendors, just to name a few. For more information call (843) 537-8421 or visit http://www.cheraw.com/festival_event.php?Cheraw-Spring-Festival-1. April 1 – 3 – Flowertown Festival at Azalea Park and downtown Summerville. This annual festival will provide you with the opportunity to view some of the most beautiful spring flowers in bloom, while visiting over 200 artisans from around the country, enjoy delicious food from local restaurants, fun activities and rides for the kids, and a farmers market on the weekend. For more information call (843) 871-9622 or visit http://www.flowertownfestival.org/. April 2 – Cooper River Bridge Run on the Cooper River Bridge starting in Mount Pleasant and ending in Charleston. Known as one of the most famous race in South Carolina, this annual event is filled with fun, as well as the opportunity to see downtown Charleston from the Cooper River Bridge. For more information call (843) 856-1949 or visit http://bridgerun.com/. April 2 – Park Palooza! At Myrtle Beach State Park in Myrtle Beach. This event will include 18 programs across the park, to include Introductory Orienteering, Backyard Bird ID, Marble Art, Family Camping Made Easy, just to name a few. For more information call (843) 238-0874 or visit http://www.myrtlebeachonline.com/entertainment/article16829705.html. April 2 – Spring Planting Day at the L.W. Paul Living History Farm in Conway. View a variety of events during this event, to include planting and plowing using a mule, demonstrations using traditional farm tools and techniques, with a variety of activities and crafts for individuals of all ages. For more information call (843) 365-3596 or visit http://www.horrycountymuseum.org/events/. April 2 – 10 – Volvo Car Open at the Family Circle Tennis Center on Daniel Island. This week long event is filled with a variety of fun and exciting activities, to include a ladies luncheon, a chance to play cardio tennis, an opportunity to try your hand at pickleball, and of course, watch tennis matches. For more information call (800) 677-2293 or visit http://www.volvocaropen.com/. April 3 – Honey & Bee Expo at the Cinebarre in Mount Pleasant. You will have a chance to observe a live bee hive, taste a variety of honey, learn about bees and bee keeping, and more, with a children’s area and live entertainment also being provided. For more information call (843) 817-0411 or visit https://sites.google.com/site/charlestonareabeekeepers/calendar/expo. April 3 – Lowcountry Blues Bash at Bowens Island Restaurant Charleston. This event will include an oyster roast, a silent auction, live entertainment, and more. For more information call (843) 297-1962 or visit http://www.alstonwilkessociety.org/lowcountry-blues-bash.html. April 3 – Lowcountry Cajun Festival at James Island County Park in Charleston. Enjoy Zydeco music, Cajun and Creole foods, kids activities and lots of Cajun fun. For more information call (843) 795-4386 or visit https://ccprc.com/137/Lowcountry-Cajun-Festival.